Chuck is a lifelong entrepreneur, proficient relationship builder, and business and community activist. From an early age, he believed his best opportunity to live life on his terms was to be self-employed. Over the years he has started numerous businesses and engaged in several partnerships in a varying range of service-related industries. He credits the experiences of navigating the processes of these initiatives from concept to creation as the foundation for his strategic consulting business. In addition, he stresses the relationships and experiences he shared with regional, national and international business leaders when he owned several limousine and airport transportation services were invaluable. One of his greatest business assets is his ability to develop relationships. He is always searching for adept business professionals, who simply do the right things for the right reasons, to add to his substantial preferred spheres of influence. It is a firm belief of his that you will only be as successful as the people you surround yourself with for guidance, decision making processes, and leadership skills. He organizes, hosts and speaks at numerous unique networking events and seminars to promote his services as well as the products and services of his trusted associates. “True success and fulfillment are realized by serving the community that serves you” is Chuck’s theory of good business. 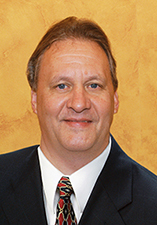 Being a founding member of Entrepreneurs’ Connection, a successful and expanding business organization dedicated to helping members get better every day at who they are and what they do as well as advocating community service, Chuck also sits on several board or directors and advisory boards. He is a member of and chairs committees in several other business organizations while also being a Certified Solution Provider with Constant Contact. In past years he sponsored an American Legion baseball team in the Berks County American Legion Senior baseball league and served as Council President of Nativity Lutheran Church.